Shoot the action. 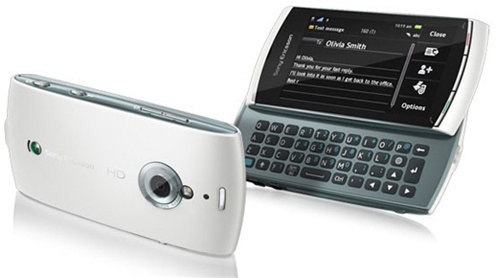 HD video recording, QWERTY keyboard, GPS touch sensitive display. Watch your favourite clips over and over again. And when that funny moment you just caught on video deserves a wider audience, upload it for all to see. Your phone is fully YouTube compatible. The touch user interface makes navigation truly intuitive - whether you're browsing the media menu, adjusting your camera settings or playing music. You'll never get lost again. Your phone has built-in AGPS. Location-based services like Google Maps and Wayfinder help you find the way to your destination. Or add location info to your images - use the geo-tagging function. Want the people in your photos to come out sharp and clear? With the Face detection function activated, the camera automatically finds - and focuses on - the face in your viewfinder. Got a favourite pair of headphones? Connect them to your Vivaz pro through the 3.5 mm audio jack. With Facebook integrated, your Vivaz pro makes it easy to stay social. You have your friends' status updates on your phone screen. And when you snap a photo, you can upload it straight to your Facebook page. Your holiday snaps. The video from last weekend's birthday bash. Connect via TV out and voila - that big old screen in your living room just got interesting. The perfect entertainment organiser - Media Go makes it easier than ever before to bring your media with you, wherever you go. Transfer your media files between your phone and PC via drag and drop. File conversion is hassle-free, too: Media Go™ automatically converts films and music files to give you the best possible quality. Instant access to music, games and applications: just tap your screen and choose. The PlayNow service brings you unlimited entertainment - at the fastest possible speed with turbo 3G or Wi-Fi. Your phone keeps you in touch and in sync. Emails, Contacts, Calendar and Tasks, fast and flexible synchronisation according to your needs with Microsoft Exchange ActiveSync. Prefer typing the keyboard way? 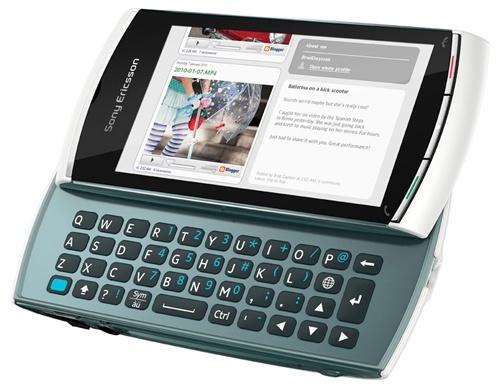 With full QWERTY, your phone lets you handle your messaging the easy way. !